The history of wine caves can be traced back several thousand years, when the Romans discovered the best way to store and age wine is in a cool, damp underground environment. They used the catacombs as both an underground cemetery and a wine cellar. However, it was not until the mid 1800s and the California Gold Rush that wine caves were seen in California. The pick-and-shovel digging, done by the same laborers used to create the transcontinental railroad, was short lived due to Prohibition. As a result of the alcohol ban, no new wine caves were created in California until the 1980s. In the 1980s, people began getting creative with how wine caves were created. Some took advantage of California history by constructing caves from old mine shafts, while others utilized the rolling hill landscape to create new caves. Wine caves are becoming more common around the globe. They reduce energy costs while maintaining an ideal temperature of 60℉. This setting also reduces the evaporation that can be caused by humidity. 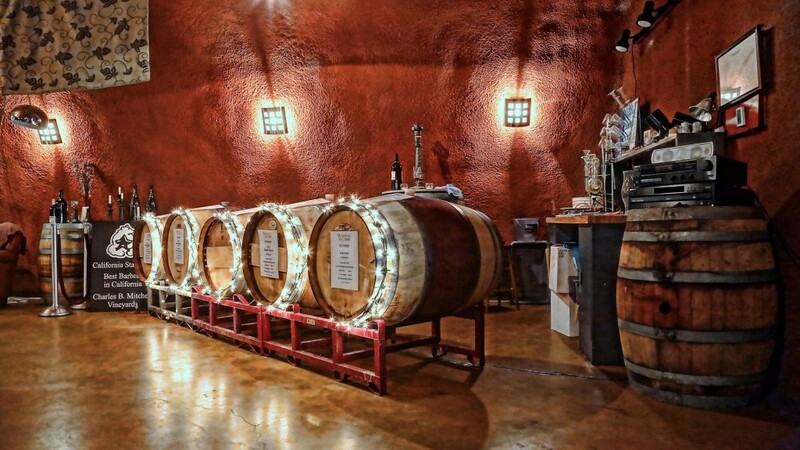 As you may know, Winery by the Creek has a wine cave, adorned with crystal stemware and elegant tables, where we hold our private cavern tastings. Private cavern tastings offer a unique tasting experience with winemaker Charles B. Mitchell. This hour-long private tasting will take you behind the velvet rope and give you access to limited reserve wines, imported sparkling wine and a special pairing of artisan cheeses and charcuterie. Want to experience a wine cave for yourself? Make a reservation for a private cavern tasting at Winery by the Creek! This entry was posted in Wine Knowledge. Bookmark the permalink.